With a dramatic silhouette and ample proportions, the Stressless Arion sofa is amongst the most versatile models in our collection. 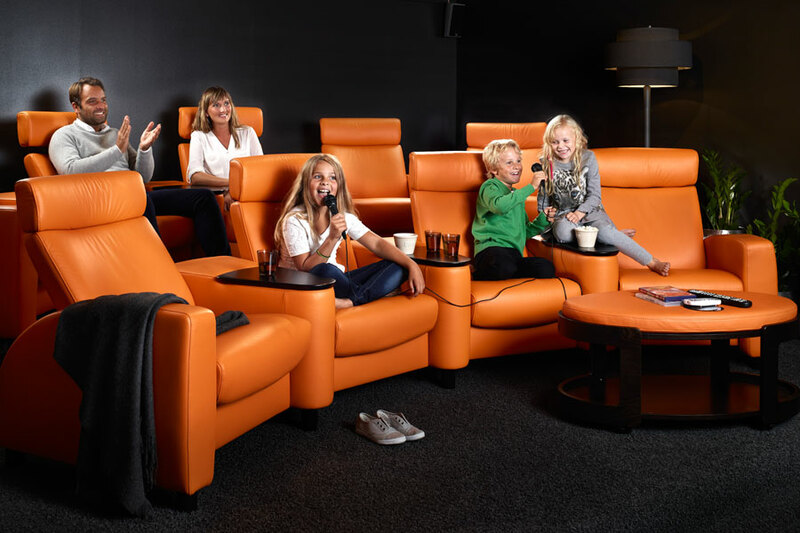 Popular for building custom home cinema seating, the Stressless Arion comes with the patented Glide® and Plus® systems which respond to your body’s slightest movement. 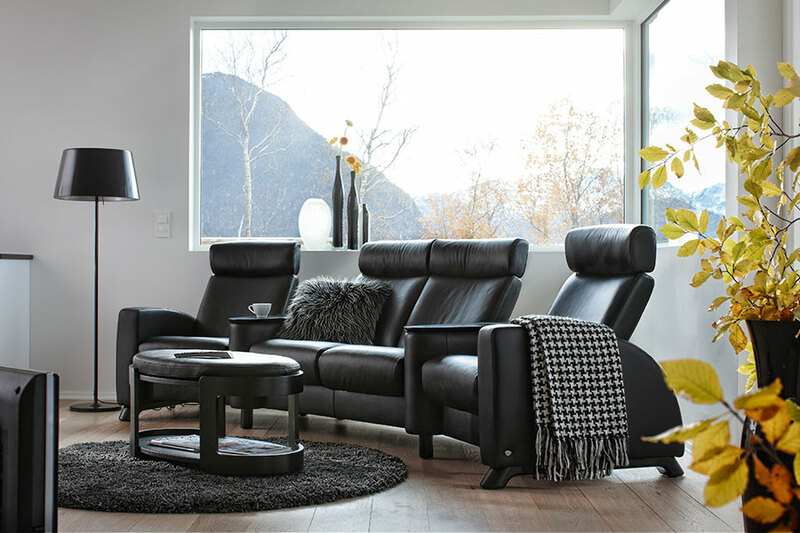 Coupled with individually reclining seat and an adjustable headrest option, this collection delivers superior support and unrivaled comfort. 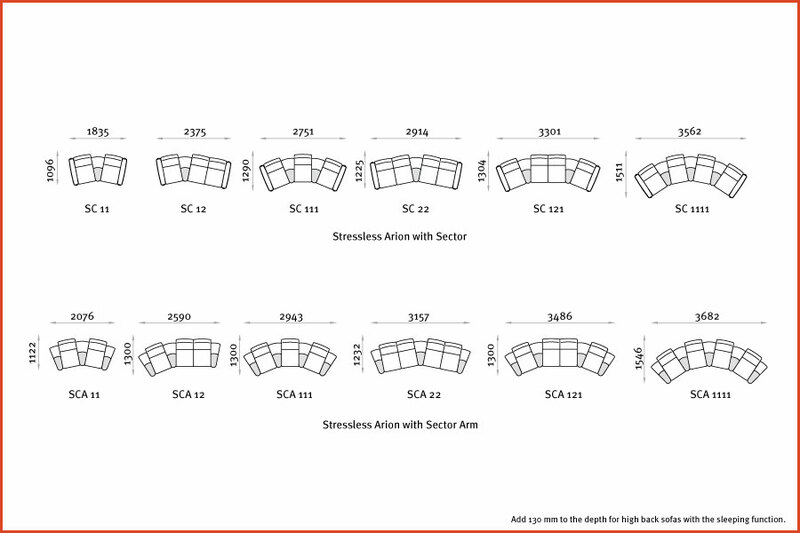 By using the Sector armrest as a connector, you can design your own Stressless Arion solution according to your space requirements and the number of seats you desire. 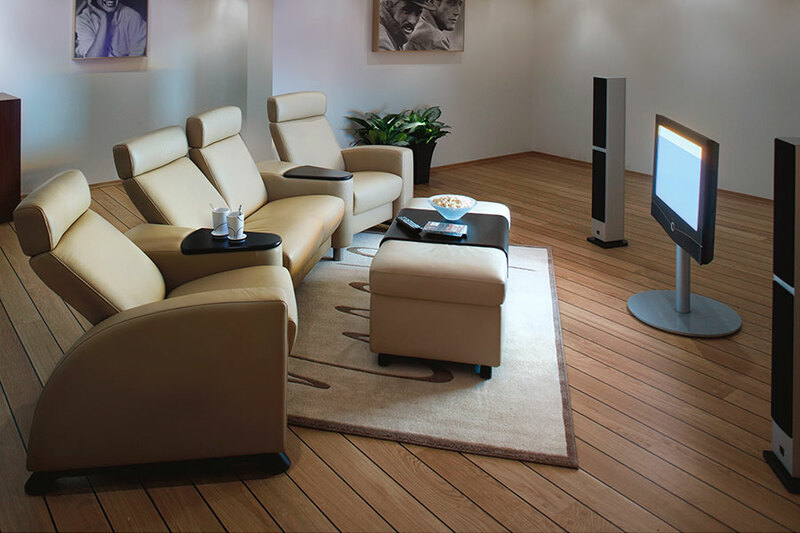 The Stressless Arion is available in a three seater, two seater, and single seat to create your perfect home theater solution. 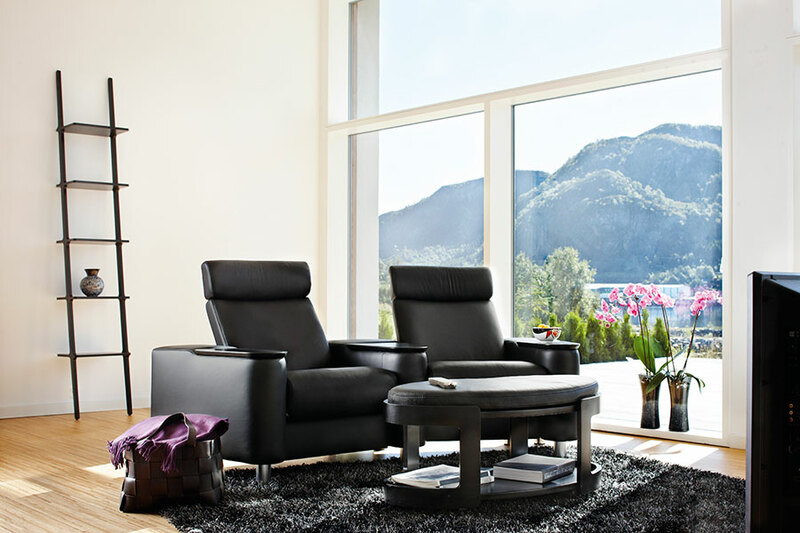 Stressless Arion also comes in a high and low back edition. 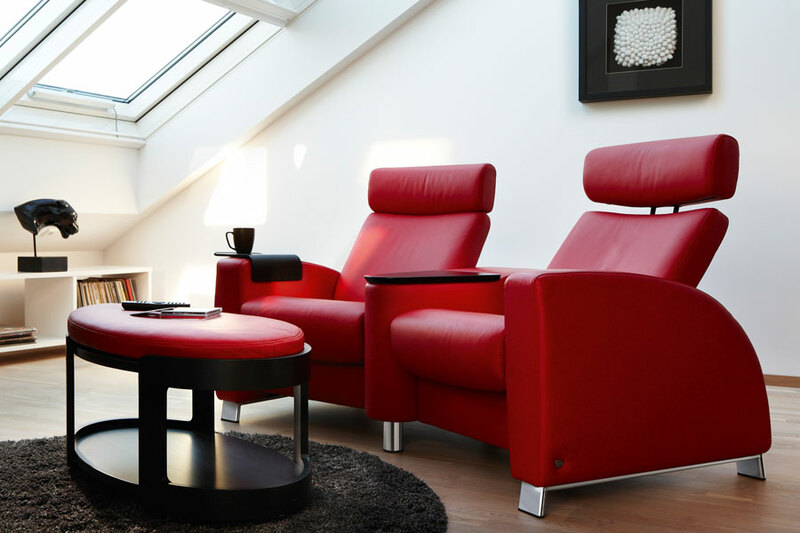 Enjoy home entertainment in beautiful comfort with Stressless. Sign up for early notification of our special offers throughout the year, along with announcements of our newest styles, room design inspiration and plenty of ideas for living Stressless. We offer those who sign-up for our email list advance notice of promotions, sneak peeks at new styles and our latest news. Email addresses collected via the Ekornes website are used internally for Ekornes marketing purposes only, to include Ekornes dealer marketing. We will not share your email with other organizations or businesses. If you would like to unsubscribe from our email list, click here or contact us. We will remove your name from our email list within a reasonable period of time. Please recognize that you may receive another email before we are able to remove you.